MTSU report: Midstate tech wor.. The Career Development Center of Middle Tennessee State University will be hosting its annual Fall Career Fair from noon to 3 p.m. Wednesday, Oct. 24, in Murphy Center. 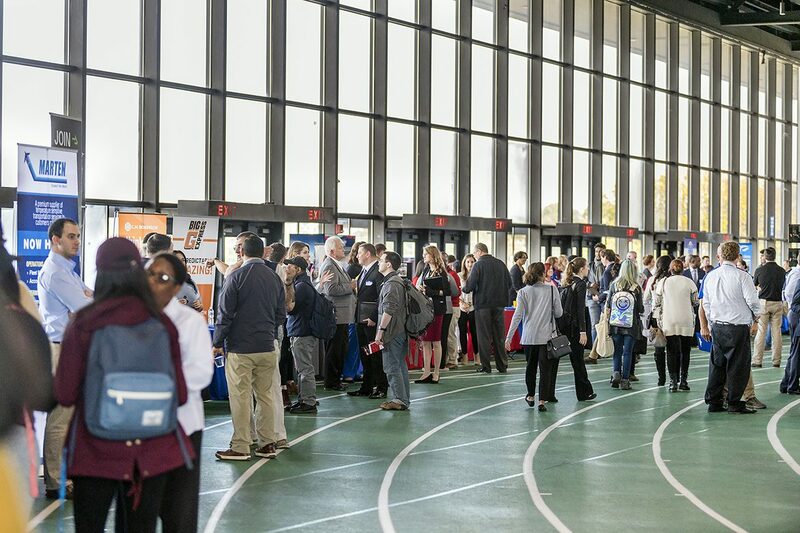 This year’s fair will feature more than 150 employers and will also include graduate/professional schools. Hundreds of MTSU students and alumni are expected to attend the event, which is free and open to students and alumni. Dusty Doddridge, interim Career Development Center director, reminds all attendees that they should dress professionally and take advantage of meeting employers who are recruiting for professional-entry level or internship positions across multiple majors or recruiting individual majors that don’t have a fall career fair event. Attendees should bring their resumes, and alumni resumes should indicate their year of graduation from MTSU. Students again can use the mobile MTSU Career app for both Apple and Android devices. By downloading the app, students and alumni can see a list of employers, graduate/professional schools, descriptions, positions, and table locations on a map of the Murphy Center. More information can be found at https://mtsu.edu/career/fallfair.php. This year’s corporate sponsor is Enterprise-Rent-A-Car. The Career Development Center is a centralized comprehensive center that serves all students in each of MTSU’s nine colleges. MTSU students may come to the Career Development Center’s office in Keathley University Center Room 328 for walk-in advising, resume critique, and more. Scheduled appointments are also available with career advisers. Alumni services are outlined on the center’s website. Alumni bringing vehicles to campus for the fair can secure visitor passes through MTSU’s Office of Parking and Transportation at 1403 E. Main St. or online at www.mtsu.edu/parking/visit.php.A searchable campus parking map is available at http://tinyurl.com/MTSUParkingMap.